DLC Media, Inc. has immediate openings for full-time and part-time Account Managers as well as a Sales Manager. These positions cover the Terre Haute and surrounding areas. Our stations include 95.9 The Legend (WVIG), 106.9 Timeless Classics (WAMB), 92.7 The Rock (WFNB), 104.9 True Oldies (WAXI) and 105.5 Jack-FM (WZJK). For more information on all DLC Media, Inc. stations, click here. This is an immediate opening for a full-time Sales Manager in Washington, Indiana and Lawrenceville, Illinois. WAKO and WAMW Radio are a part of DLC Media. We need energetic, creative people who enjoy working with people. We create audio and digital campaigns designed to help our clients reach more customers. We offer competitive pay with benefits along with paid vacation and holidays. Basic training and on-going support is provided. 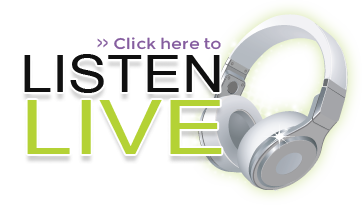 For more information on all DLC Media, Inc. stations, click here.